handspun baby alpaca and alpaca/silk, A Verb for Keeping Warm-- "Witchy Woman"
...and was just too impatient to actually wet finish the yarns before knitting them up. It was actually kind of fun knitting from the bobbins like this! Wondermike had twittered (or asked on ravelry? can't find it now) about combating bias in singles... I guessed that in addition to purl sts, stranding might work. Maybe not? 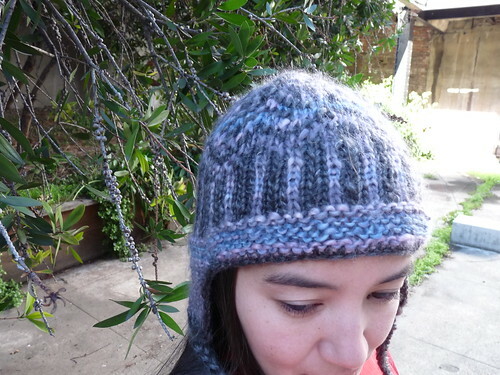 :) I can't really tell if its the fact I didn't block the hat or not making it slant. I'm not going to wetblock the hat-- I'm worried that the alpaca with grow and outgrow my already huge head :) Mom's alpaca Thorpe may already be too large for her... I'm avoiding asking if she wants me to reknit it on smaller needles for now. 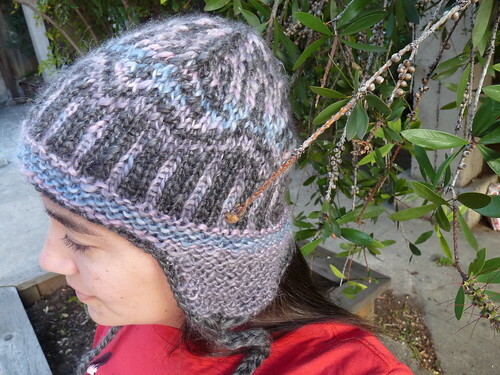 In addition to the fact the hat takes on a faux fair isle look from the long stretches of "witchy woman" colors, I also really, really like the halo. I love the handspun! 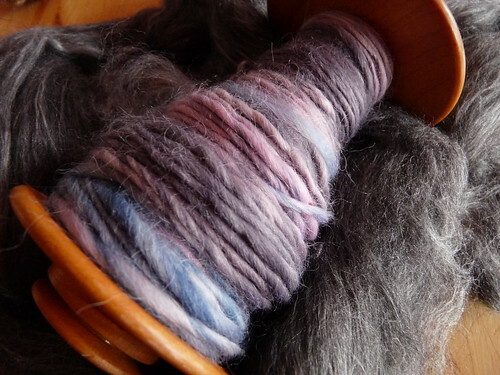 I'm making a handspun Thorpe myself right now in a yellow blend. It works up so fast, doesn't it? beautiful! 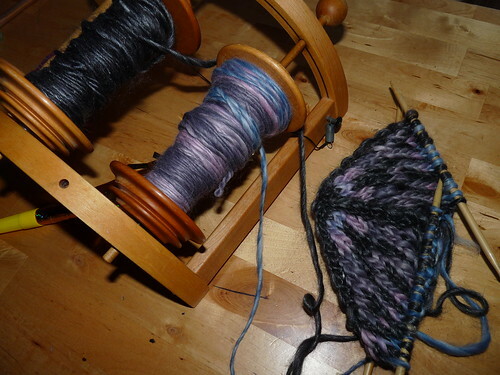 I love knitting with handspun singles. Knitting in garter stitch will certainly help set the bias straight. my dog's growling at me - I better go! that looks like the softest hat EVER!! I love the halo too! 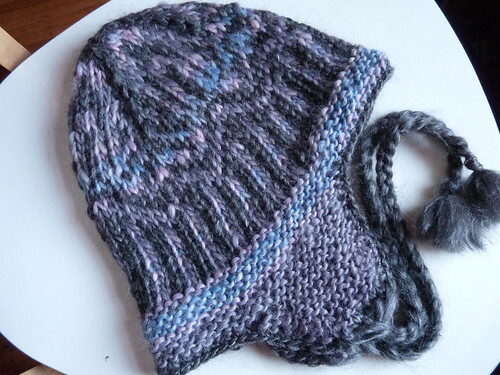 I need to knit another one - I love my first one! Wow, that looks rad! Nice work! Are you saying there are people who don't like a pattern simply because a lot of other people do? That's just ... weird.